A passion to see his children reach their full potential as Aboriginal Australians is what drives Jeremy ‘Yongurra’ Donovan to push for change. The CEO of GenerationOne is this week’s Changemaker. A passion to see his children reach their full potential as Aboriginal Australians is what drives Jeremy ‘Yongurra’ Donovan to push for change. The CEO of GenerationOne is this week’s Changemaker. He spoke to Xavier Smerdon. Donovan is a descendent of the Kuku-Yalanji and Gumbaynngirr tribes of far north Queensland and the mid north coast of NSW. A passionate advocate for change in the relationship between Indigenous and non-Indigenous Australians, Donovan made his name as a keynote speaker before becoming CEO of the organisation established by Australia’s biggest philanthropist, Andrew ‘Twiggy’ Forrest. 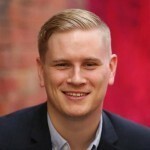 In this week’s Changemaker column he calls for a more united approach to reconciliation and the challenges facing a movement that aims to create 5,000 jobs for indigenous Australians. What is your background before Generation One? Between 2001 and 2010 I was solely a didgeridoo player and keynote speaker. I worked for myself, although I held contracts with the Department of Foreign Affairs and Trade as a didgeridoo player for all the embassy events around the world. I often would go and talk about Aboriginal culture and do some lectures at universities and then also some major concerts that included philharmonic orchestras. It was a fantastic life. There were very few countries that I didn’t get to visit. I had the opportunity to play didgeridoo at Buckingham Palace twice and over at Dharamsala for the Dalai Lama. I had a show that ran for three months in Las Vegas at the Paris Casino mainly as a musician but ultimately as that progressed I developed the craft as a keynote speaker. I don’t want to put it in a “motivational speaker” category but a lot of people saw it as that. For me, sharing was the only way that our culture was going to exist or survive and sharing it was not defined or limited by those that just held a blood ancestry to Aboriginal Australia but to all Australians. When we look in reflection of where first nation people are today, there’s still significant margins. I believe part of that is because of the immaturity that exists in terms of the true narrative of the conversation that probably needs to be held as all Australians – to reflect and not deny or over compensate the pain of the past but actually begin to accept that there were many wrongdoings that happened as a result of colonial contact. But 60,000 years of culture still exists and that really is the foundation of our country, and so I want my next door neighbour to feel that they are part of that history as well. While we’re two different countries and should never, ever be compared for many reasons, the non-Indigenous New Zealanders, the Papia, have embraced the Maori culture – it is the foundation of who they are. The Maori culture is taught in schools and all kids, whether they are migrants to New Zealand, a non-Indigenous New Zealander or a Maori or Pacific Islander, you learn to speak Maori, you learn to perform the Kappa Hukka. You only have to look at some of the viral videos on social media of schools in New Zealand performing the Hukka. I saw one on facebook that really moved me of a popular teacher who passed away and as they drove his coffin through the school all the boys lined the road and performed the Hukka. It was non-Indigenous and Indigenous boys standing side-by-side and a true sign of respect. And then of course, in Australia, we have a very different situation, like that of the Adam Goodes booing saga. It’s completely different to Australia because when Adam Goodes performs a spear throw, it’s an attack on white Australia. Every Australian should stand up and say “why don’t we do more of that?” It’s the foundation of who Adam is and also who we are as a country. Do you find that in Australia you have a lot of non-indigenous people wanting to speak on your behalf? Absolutely. There are a lot of people that speak for us. The thing is, there isn’t a one shoe fits all. I believe right now there is quite a divided place of opinion among Aboriginal Australians too, and ultimately what happens is the media often plays those opinions against each other rather than accepting the fact that while people might disagree it doesn’t mean that they hate each other. Basically what it says to the rest of Australia is that there is so much turmoil among us that we will never get to a common understanding. I don’t know that that’s true. I think that there are some people that are very good at controlling the monopoly of headlines, which really is taking away a lot of the voice of the other very significant Indigenous Australians that are focussed on advancement. I think that voices of people like Chris Sarra, from the Stronger Smarter Institute, are not heard enough. He’s someone that every Australian should know. There are Indigenous businesses that are thriving, and this is before the changes to the Government procurement services, and they’re voices that should be put on TV. Not just NITV, but on mainstream TV. We want our kids to see that you don’t have to just watch an Aboriginal television station to see the Aboriginal success stories. Right now the only time you see Aboriginal success on mainstream TV is in sport. Only in the last few months we’ve seen the constant booing of an Aboriginal athlete, and I know this is a bit of a following, but I do believe in my core that this was racially motivated. A lot of it was just ignorance but the moment someone is forced to feel vulnerable because of your actions and they feel vilified inside and it really does hurt, then you can’t argue that it shouldn’t. I believe the responsibility to fix this falls in the hands of all of us. That’s why I’ve taken so much pleasure and pride in being able to speak about this really beautiful, ancient culture that has never gone away and never will. I’ve seen the impact of sharing those knowledge stories and having people walk away and say “that’s the first time I haven’t been made to feel vulnerable as a non-Indigenous person”. It was as recent as last week when I went down to a fundraiser for the Whitelion Foundation, which has quite a large focus on homeless youth, including Indigenous youth coming out of incarceration. I spoke at their luncheon and said I’m not the encylopaedia but I will give you everything I know and I want to give it to you in a way that makes you feel that you are now a part of this journey and that this is your country as much as it is mine. At the end of that an older white Australian man pulled me aside and asked me if he could have five minutes of my time. He said when he heard there was going to be someone talking about Aboriginal culture he was expecting, in his words, just another speech about how sorry white Australians should be. But then he was confronted by a man walk onto the stage wearing a suit and tie and playing a didgeridoo… who then put the microphone down and spoke of an acknowledgement to country in a way that said, walk with me on this, we’re all visitors. He said it was the first time in his 72 years that he actually listened and really felt that he had so much to learn rather than so much that he didn’t want to listen to. I got a bit emotional because that’s my driver – that our culture is so significantly entrenched into our DNA, and the emotion and the feeling of it is not something that is exclusive to just us. We have to get through the trauma together, not deny it, understand that the true history. I think that the moment we make people feel guilty we start to push them away. We need to do it in a way that says we don’t want others to feel responsible for this, we want you to understand that this is still impacting our lives today, and this is the reason that we need your help for us to regain our strength to really sit in a place of equality in this country. I think the census discovered that only 10 per cent of Anglo Australians have ever met an Aboriginal person yet everyone has an opinion on them. So that begs the question, what is the basis of your opinion? Let’s get onto Generation One. How did you meet Andrew Forrest and how did your involvement in the organisation come about? 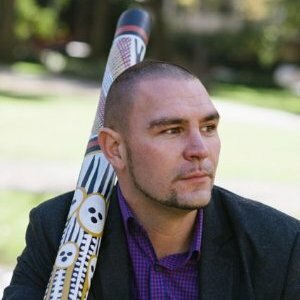 It was at a time in 2011 when I was doing some work as an ambassador for the Australian Literacy and Numeracy Foundation and the Aboriginal and Torres Strait Islander Healing Foundation, talking about the pattern of healing and the need for healing amongst our people but also all Australians. I was at a conference and the Director of Policy was at there and heard me speak and believed that I would be an asset to the movement that was about one year old at that time. The then CEO, Tim Garthrell, who is now in charge of the Recognise campaign, invited me to come on board as a spokesperson. After Tim left we then had Warren Mundine appointed as CEO and there was more and more desire from our corporate partners for me to present or speak different events. Just after Warren Mundine resigned I was approached by Andrew about taking on a full time role with Generation One with a mentorship to become the CEO of the organisation eventually. I remember meeting Andrew and Nicola for the very first time before I signed an ambassador contract with Generation One. I was told that they wanted to meet me so I had lunch with Tim, Andrew and Nicola and one of their daughters. I just told them a little bit about my story and at that point they gave me the opportunity to come on board. I found Andrew to be completely engaged and really interested in what I could help him with in terms of the message that he was trying to convey. Just over one year ago I was appointed as CEO of the organisation and it was going through significant changes at the time because everything that we had been lobbying for had been given life under the Abbott Government with a $45 million commitment for the creation of the VTECs [Vocational Training and Employment Centres]. Today we sit with seven staff around the country and we service 29 VTECs and several hundred employers to support them to ensure that they are providing the right pathways and opportunities for Aboriginal people to enter into the workforce. Generation One’s sister company was originally the Australian Employment Covenant. With 340 different employers that have signed MOUs with us we raised over 62,000 jobs that were pledged on the basis that if you can commit to the training, we’ll provide the jobs. Ultimately for several years there was no vehicle that was really providing the right training and support, the mentorship into those jobs. Those businesses filled a significant amount of those jobs. In the life of the Australian Employment Covenant it was reported back the businesses had filled 22,000 jobs. But the narrative, under the leadership of myself and Matt O’Sullivan, changed. No longer was it about finding organisations that could pledge jobs, it was about going back to the businesses that had pledged jobs and saying right now we have 29 VTECs that have to fill 5,000 jobs under their contract agreement. Today we’re looking at over 2,000 of those jobs have been filled. Our current projections say that we might not get to those 5,000 jobs, we may get to just over 4,000 people placed into jobs. That’s a significant achievement for those 29 VTECs because sometimes we can be distracted by the number in terms of how we are so used to seeing numbers as a monetary value. If you actually remove the dollar sign and you place lives next to that figure, you realise that the impact that you had on our people and their families is much greater than 4,000. We hope and we aspire to fill 5,000 jobs but the truth is that for every Indigenous person that gets a job their sphere of influence or support connects to about eight other people. So when you think 4,000 and you multiply that by eight, you start realising that there’s a massive cultural change that will happen in terms of empowerment through employment and empowerment through opportunity. A system is changing that has existed for so long that really just fuelled the hopelessness and the feeling by some people that they would never get a job. It’s not that there is a lack of desire. I know very few Aboriginal people that have said to me they don’t want a job. It’s more the fact that they’ve been promised the world and nothing’s ever come of it. They’re told if they go and do a training course then they’ll get a job and then they’re told they have to do one more training course and before you know it you have a CV that’s got a ticket for every piece of machinery in the world yet they still don’t have a job. Every time a training organisation puts a person through to get a ticket they get paid, yet for our people the hopelessness continues to grow. VTEC is the circuit breaker. It’s the circuit breaker of hope that if you complete the training to the specifications and needs of this business, you will have a job. that’s a guarantee. What inspires you to keep on working in this field? It must be quite frustrating when a lot of the change is very incremental. My children. My own nieces and nephews that I’ve raised just like my children…that’s the reason why I get up and keep pushing. I want them to live in a world where they are proud of who they are as Aboriginal people and they have every opportunity that is available – that they can go on to be the CEO of the Commonwealth Bank or they can become a physiotherapist. It’s not this narrow conversation of, “you could become a football player, no, you could achieve anything because our country has matured and the opportunities are alive”.